The West [FUKUS] – its governments and its governments’ scribes – are obsessed with Russian President Vladimir Putin. “Obsessed” is probably too weak a word to describe the years of impassioned coverage, airy speculation and downright nonsense. He is the world’s leading cover boy: military hats, Lenin poses, imperial crowns, scary red eyes, strait-jackets, clown hats; anything and everything. He’s the avatar of Stalin, he’s the avatar of the Tsars, he’s the Joker, he’s Cthulhu, he’s Voldemort, he’s Satan. He’s the palimpsest for the New World Order’s nightmares. Putin is always messing with our minds. He weaponises information, misinformation and sexual assault accusations. Childrens’ cartoons, fishsticks, Pokemon and Yellow Vests, “Putin’s warships” are lurking when they aren’t stalking; “Putin’s warplanes” penetrate European airspace; “Putin’s tanks”, massing in 2016, massing in 2018, still massing. His empire of rogue states grows. 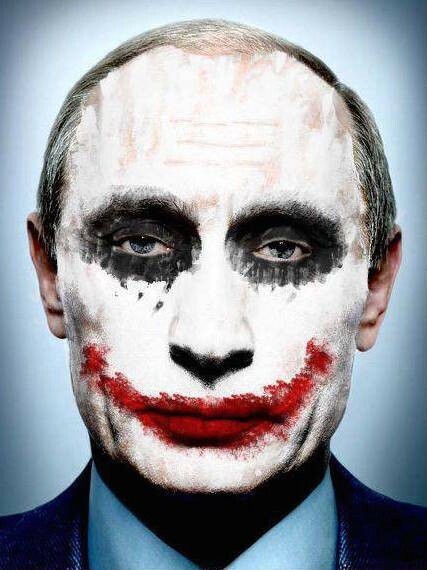 All Putin, all the time.